The Biology Department provides students opportunities to interact with the community. 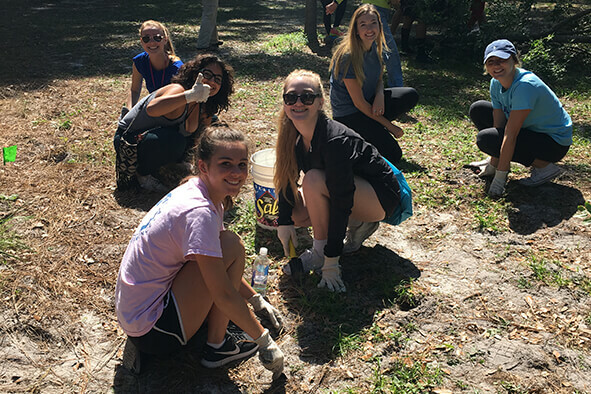 Whether it is at Mead Garden assisting with plant restoration or at the Orlando Science Center helping children learn and enjoy the sciences, Rollins students leave the event with a sense of satisfaction knowing they helped their local community. 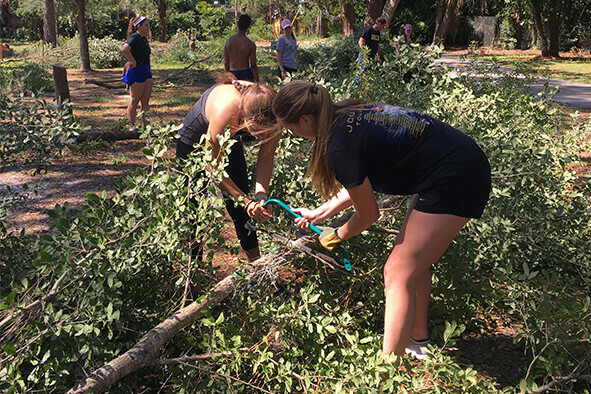 Rollins College Biology students volunteer and help with plant restoration at Mead Garden. Students help to restore native habitat during Restoration Day at Mead Garden. Removing invasive exotic plants is one of the many projects students accomplished on Restoratioin Day at Mead Garden. 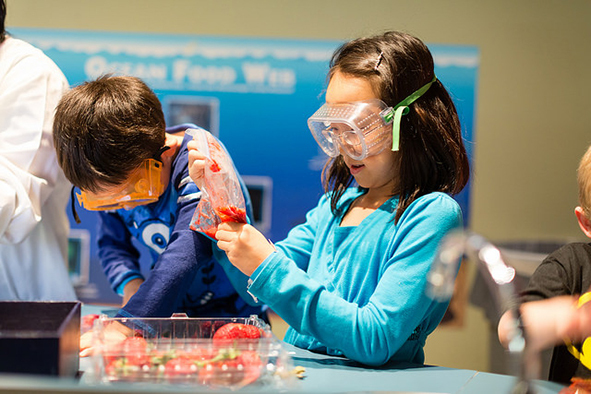 We may be looking at our future leading scientists all because of Cell Day at the Orlando Science Center! Nature, plants, beautiful weather, and working outdoors so what more can a group of students from Rollins College ask for? 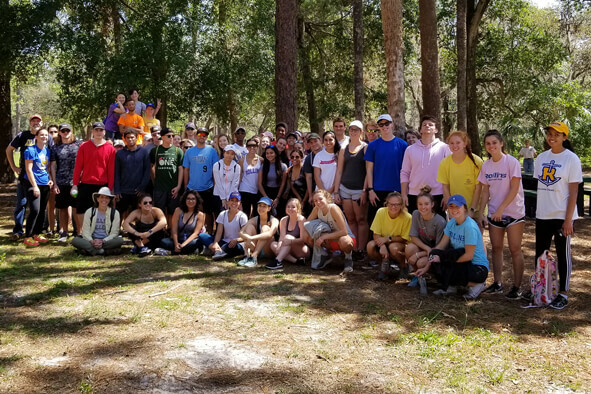 On Saturday, April 28, 2018, the students of General Biology I class in collaboration with the Tarflower Chapter of the Florida Native Plant Society (FNPS) worked at Mead Garden, a wonderful, unique park centrally located in Winter Park. Starting the day with breakfast in the Bush Science Center atrium, the 71 students took tools in hand and walked 20 minutes to the close by Mead Garden. Overseen by Catherine Bowman, current President of the FNPS, the students removed exotic invasive plants to prepare areas for future native plants. Much was accomplished by the enthusiastic group and a good day was had by all. Rollins students helped inspire children to pursue the sciences, sponsored by visiting assistant professor of Biology Veronica Segarra, by taking over Dr. Dare’s Lab at the Orlando Science Center and teaching local families about cells, DNA, and proteins!